Newcastle architects JDDK Architects has been appointed to deliver a £4m project to upgrade the city?s grade II*-listed Byker Wall estate, designed by Ralph Erskine, report BD. The architecture firm was picked from six shortlisted teams in a competitive tender process for the Byker Community Trust (BCT). The process also included meeting a steering group of residents to discuss a pilot project for the 600-plus home estate. BCT said that the upgrade work, which will aim to boost the setting of the homes ? 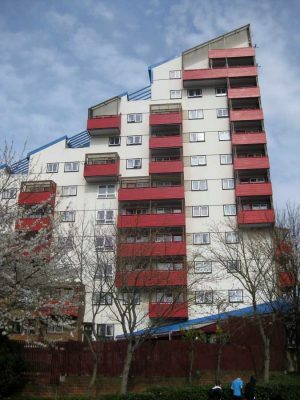 delivered between the late 1960s and early 1980s, would complete investment promises linked to the official transfer of the estate from Newcastle City Council. This world-famous building is a long unbroken block of 620 maisonettes in the Byker district of Newcastle upon Tyne, England. They were designed by architect Ralph Erskine and constructed in the 1970s. The wall is just part of the estate which covers 200 acres.